From the episode where they go to the party on Long Island. 2 RX7’s and a Z. 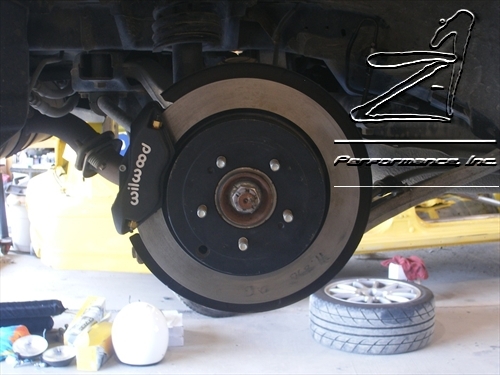 We now have a new Wilwood based rally brake kit available for Evo 6-9, as well as a kit for the Evo X! 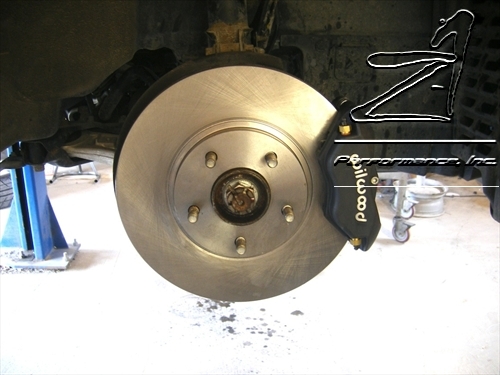 These kits utilize the Wilwood Dynalight Forged Calipers (4 piston), and include a vented rotor, all required hardware, and Wilwood BP-10 compound pads. This kit is offered for both the front AND rear, and the rear even uses the stock e brake! 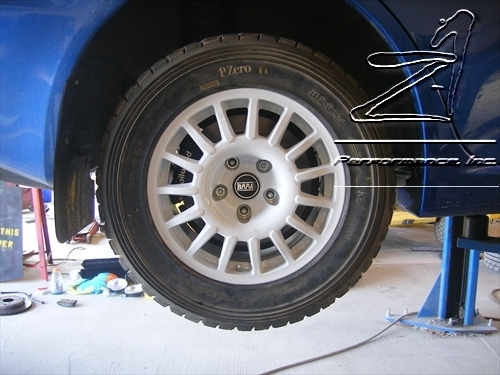 The best part is, these will fit under 15 inch wheels, making them a perfect choice for rally guys, and even drag guys, who want a durable, functional, reliable and strong brake kit without any risks. 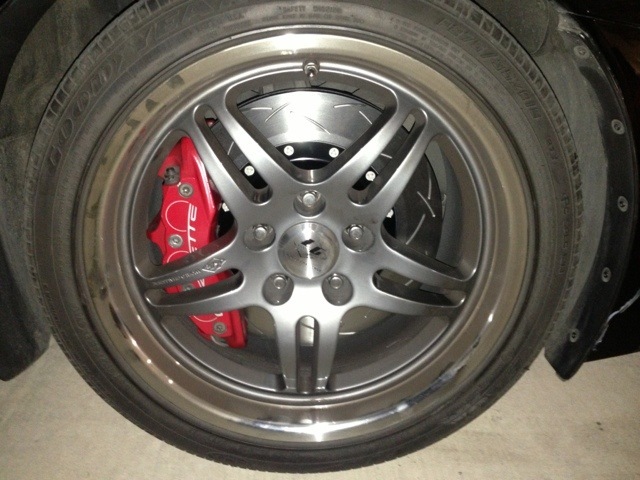 Various options are offered alacarte, such as slotted rotors, Superlight calipers, and alternate pad compounds. 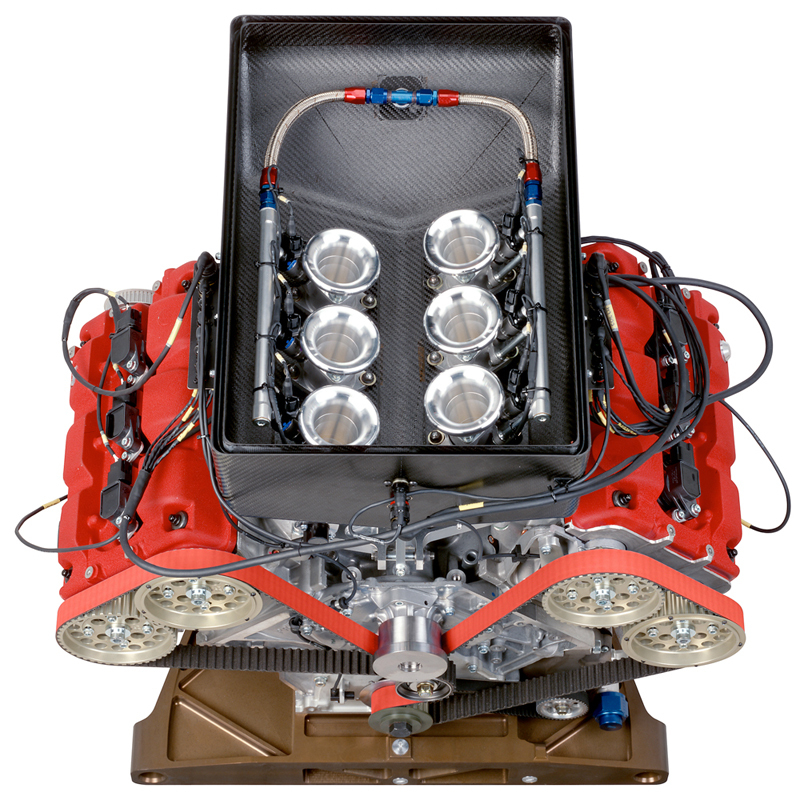 Front kit is priced at $1140.00, rear kit is priced at $1400.00 (shipping varies depending on location). 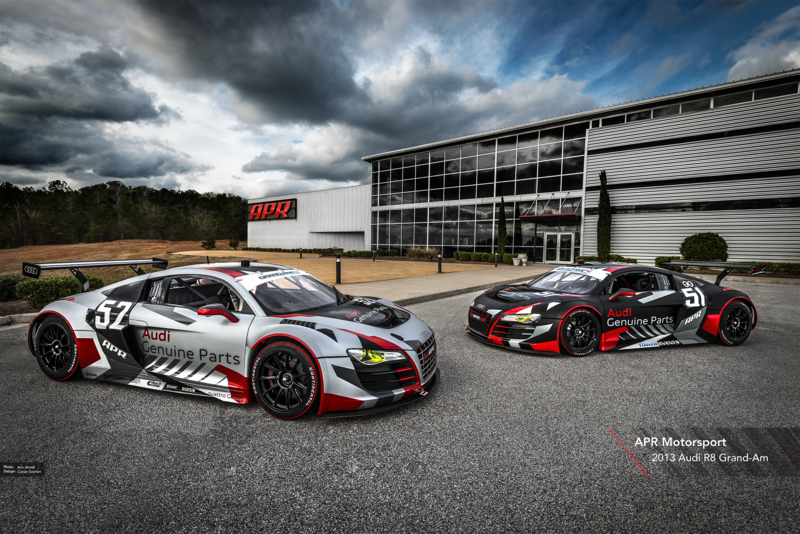 Contact z1sales@z1auto.com for your kit! After nearly 2 years since we first brought you the information, this exhaust and a new Y pipe are available for purchase. 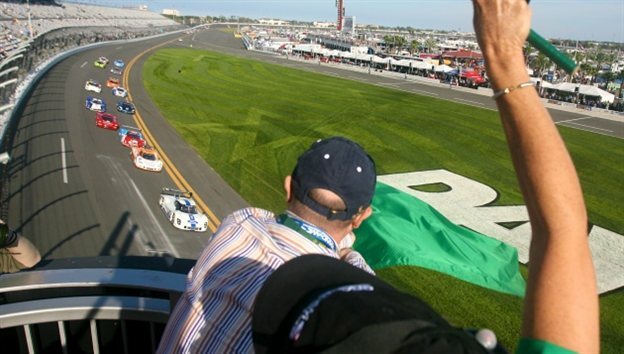 Surfing the car blogs is pretty cool, because you never know where you’ll end up. After hopping around for about 30 minutes, I stumbled across this neat blog out of Australia. The guys have sort of a ‘lifestyle’ concept to the shop, with clothing, accessories, and I think some labor being done too. Just a clean layout to the blog, and the fact that cars make these guys smile is evident. Just discovered this on youtube….if you’re into hip hop and lyricism, this is too cool. 3 unbelievably talented artists together. Mos Def, Black Thought (The Roots), and Eminem. It’s no secret that as cars get older, stuff needs to be done. While driving recently someone stopped me to say my brake lights weren’t working. Definitely not cool and totally dangerous. What I came to discover was that in the daytime, they would not work at all. None of them, not even the third brake light at the top of the hatch. 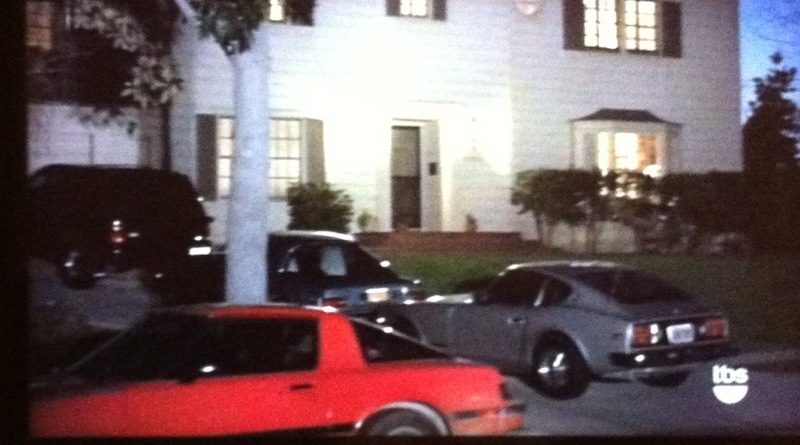 However at night, when you turn the headlights on, the top third light worked fine. Tail lights always worked too, they just didn’t get brighter like they should when you step on the brake pedal. The culprit turned out to be a simple fix. The factory brake switch had gone bad. After 10 years its to be expected I guess. This switch is mounted to a bracket above the brake pedal, under the dash. Kneel on the ground with the door opened and its simple to see. The switch itself is around $36 at the dealer (we sell em for $18 if you need one). You will see two sets of plugs. 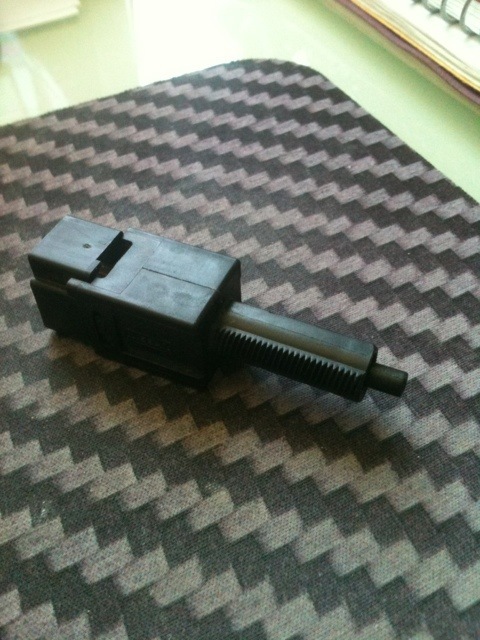 The brown colored one is the ACSD switch which is for cruise control and some other functions. The black one above it is the brake switch. It’s a simple device. There is a pin in the center of the switch. Step on the brake, the pin is released, and the brake lights illuminate. 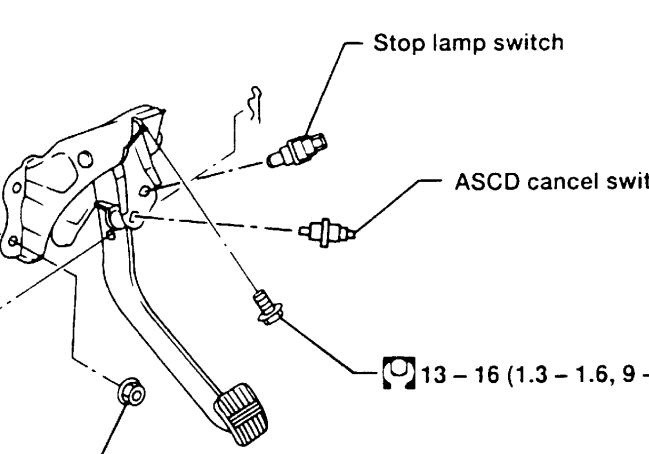 Release the brake, the brake pin is depressed and the brake lights are off. Imagine how many times this pin has gone back and forth during its lifetime, and its no surprise that eventually it needs replacing. While kneeling on the ground grab the switch with your hand and turn it counterclockwise 45 degrees. This will unlock the switch from its holder. Once removed, depress the tab on the top, and the switch is separated from the wiring harness. Plug the new switch in, insert into the plastic locking grommet in the bracket, turn 45 degrees clockwise and viola, you’re done. It literally takes 45 seconds to do. A good customer and friend sent this over today. 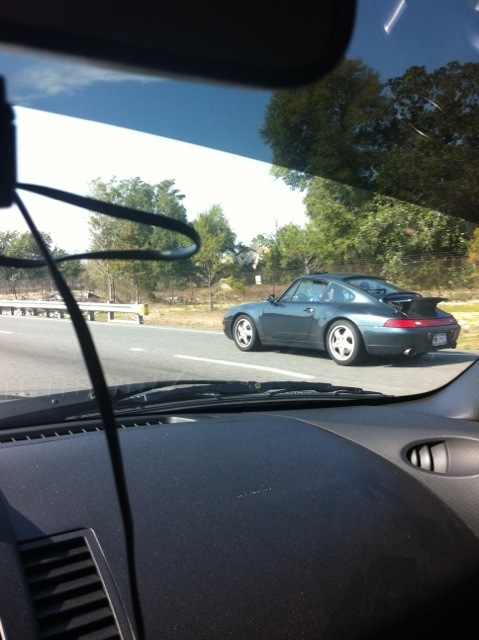 He was driving and spotted this 993 Carrera. Love the miss green color, anyone know what it’s called? 560 hp from the 5.2 liter V10, R Tronic Sequential box, lots of carbon (180 lbs less than the standard coupe), integrated rollbar. But, still has some creature comforts. Like the 495 watt B&O stereo. A limited run of a limited car. Always enticing. The run of these quickly sold out (333 total for 2011, and I think something like 90 for 2012), each one was numbered, and not too many were made. 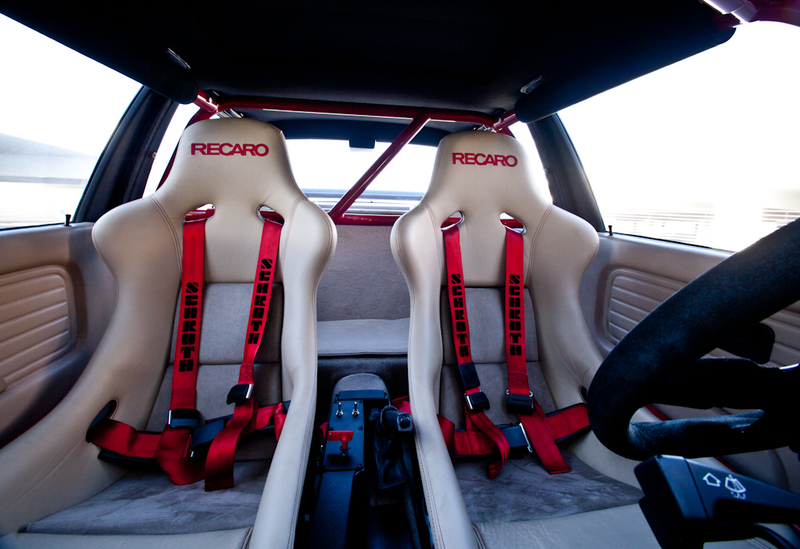 One man’s obsession to create the ultimate jack of all trades sports car. No irony lost on the fact that the owner/builder’s name is Jack. 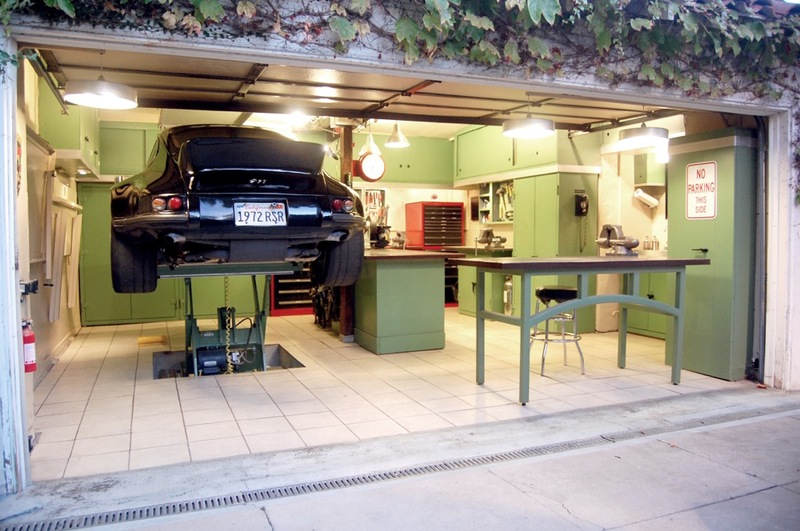 You don’t want to miss the pics of his stunning garage either. A realistic model for what a well organized, clean workspace is all about. Makes any project you take on that much more enjoyable. Also helps to have an in-house apprentice too…looks like an up and coming car dude to me. Yes, this feature is making the rounds on all sorts of car and non car related blogs in the last 24 hours. It’s too cool not to share with you guys though. I didn’t know about until both Jon and a good customer and friend, both sent me a link to it today. 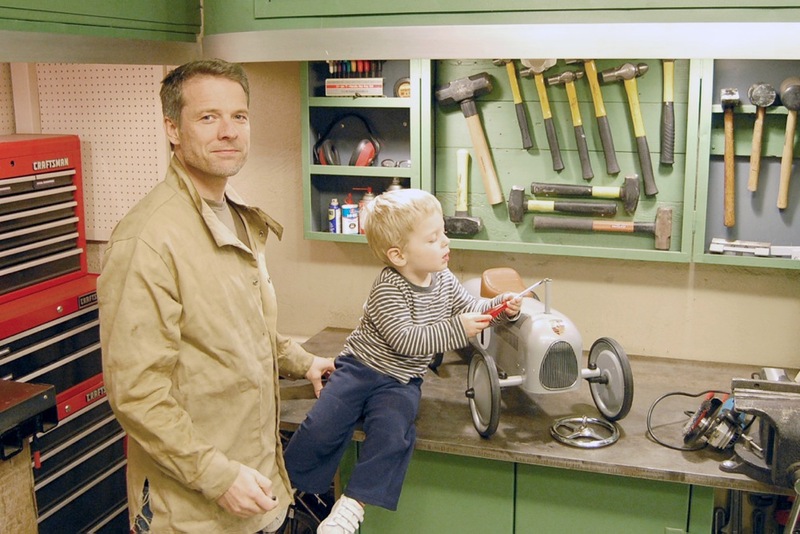 They know I love cars, they know I love 911’s, and what guy doesn’t like an awesome garage…. If you’re into the DIY side of the car hobby, I encourage you to check out the build process. A lot of work was done by TRE, and the owner did a lot as well, not to mention build out of the garage.